The Crawford Family: I mean, really??? 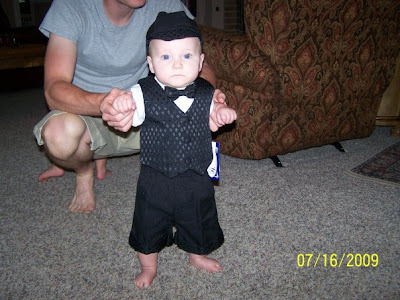 Jett in his wedding attire! How stinking cute is that?! When is Tara's wedding? This weekend or next? Oh my - I had to laugh out loud at the extreme cuteness of this picture! What a doll! Ha!!! How studly is he!?! He will be the cutest little man there! !